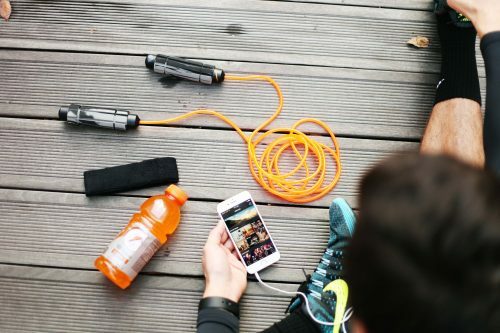 Stream all of your favorite festival mixes right within the Fit Radio Workout Music app! Calling all EDM fans! We have just launched our new “Festival Station” on the Fit Radio app! For the next few months, Imagine Music Festival will TAKEOVER the new Festival station on Fit Radio – bringing you exclusive, high-energy workout mixes to get you in the music festival spirit! With DJs like Adventure Club, Benny Benassi, Borgore, Dillon Francis, The Disco Biscuits, Excision, Nero, Gramatik, Zeds Dead, Steve Angello, and more – you can look forward to some amazing new mixes! See the full line up here. 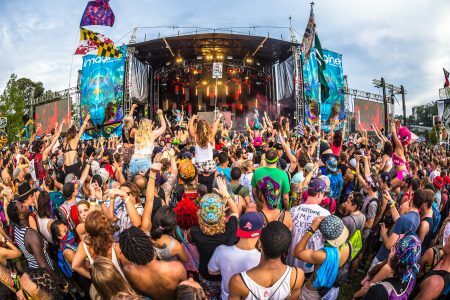 Imagine Music Festival (IMF) is an electronic dance music festival held in Atlanta, Georgia. 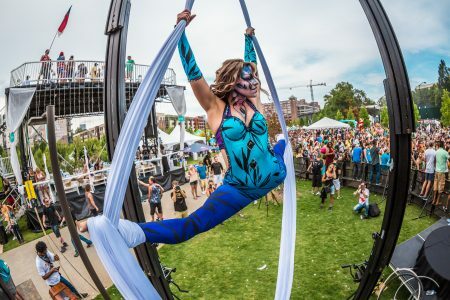 Voted Top 30 festival in the world by Fest300, and Top Ten Emerging Music Festivals by USA Today, the festival features multiple stages hosting the world’s top electronic musicians, DJ’s and bands along with captivating cirque style acts & performances. The secret? Eating more often, sleeping longer, and spending less time working out (really!). You’d like to do something—anything—to speed up your metabolism, but it’s out of your control. Right? Not quite. Although genetics and your age both play a role, recent studies suggest you have plenty of say over how well your metabolism—which involves your body’s ability to break down food into usable energy—functions. The eating and exercise plans on these pages were designed to keep your metabolism humming to the tune of up to 10 pounds off in 21 days. Read on for the keys to not only losing, but losing for good. Your basal metabolic rate—the number of calories your body burns at rest—is based on things like age, height, and body type, so there isn’t much you can do to alter it. But there is a lot you can do to change the number of calories you burn above that, beginning with your diet. Specifically: Eat breakfast. We already know the reasons you may not want to (you don’t have the time/energy/stomach for it), but leaving for work on an empty stomach is like hitting the pause button on your metabolism. Here’s why: When your brain senses your stomach is empty, it sends a message to your cells to conserve energy in case another meal doesn’t arrive. In other words, your body holds onto the fat stored in your cells instead of helping you burn it off. “Breakfast triggers a process called thermogenesis, where the body signals the brain to activate the metabolic process of turning food into energy,” says Mark Hyman, MD, author ofThe Blood Sugar Solution. To keep your metabolism humming, Dr. Hyman suggests eating small meals every three or four hours. Aim to make each of those meals at least one-quarter protein—whether it’s animal protein, beans, or dairy, says Marissa Lippert, RD, who designed the eating plan on page 39. A recent study in the journal Neuron suggests that consuming protein stimulates the cells responsible for switching on the body’s calorie-burning mechanism. Even more important? Exercise. 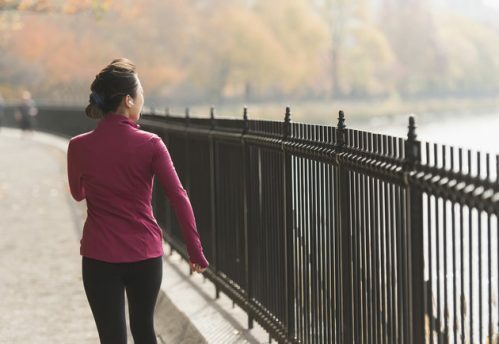 “Not only does it affect your metabolism while you’re doing it, but research shows you can keep burning calories up to 24 hours after you finish because your metabolism stays elevated,” Dr. Isaacs says. 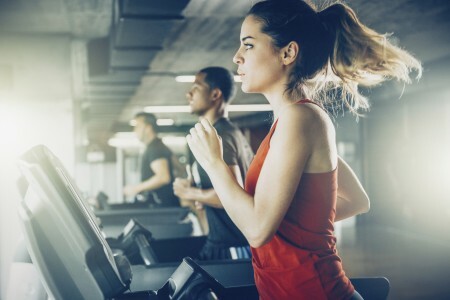 That’s especially true if you challenge yourself: A new study in the journal Cell Metabolismsuggests that intense bouts of exercise can “turn on” genes responsible for energy metabolism. Researchers found that the activation of these fat- burning genes was higher in cyclists who pedaled at 80 percent of their aerobic capacity versus those who did a more moderate cycling session at 40 percent. So although you can’t permanently change your DNA (if only! ), experts say exercise can fire up certain genes that initiate the fat-burning process. Exercise is particularly helpful once you pass the age of 40, when your metabolism naturally begins to slow down. Experts used to believe it slowed due to an inevitable loss of muscle mass. However, a study in the journal The Physician and Sports Medicine found that fit women ages 41 to 81 who continued to exercise four to five times a week as they got older had little change in body composition. The real reason you lose muscle with age? You stop using it. “We now know that women who keep up a regular vigorous fitness routine don’t experience the metabolic decrease,” Dr. Isaacs says. No, it’s not your imagination. Too little sleep can cause you to gain—and not just because you’re spending those extra waking hours in front of the TV nursing a bag of chips. Research suggests that people who sleep two-thirds of their usual amount (five hours instead of eight, say) eat an average of 549 extra calories the following day without realizing it. Experts believe this is because too few zzz’s upset the balance of important appetite-regulating hormones. Aim for seven to eight hours of pillow time a night, advises Dr. Hyman. “Just a small change in your sleep schedule can make a big difference in your health.” Not to mention your ability to burn calories. 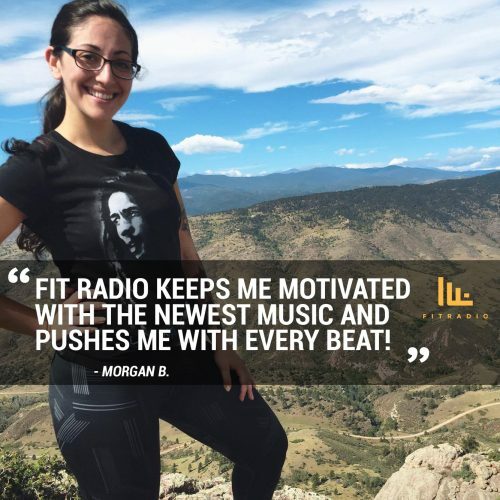 Fit Radio Users – Meet Morgan B. My name is Morgan and I currently live in Colorado. 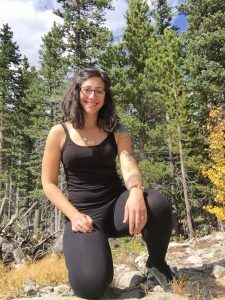 For me, Colorado is the best place for anyone who is super active and loves the outdoors. 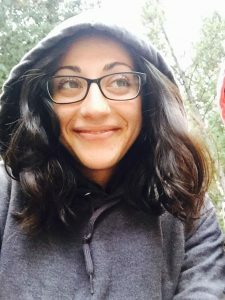 Personally, my favorite activities include camping, hiking (Summer or Winter), and bike riding. 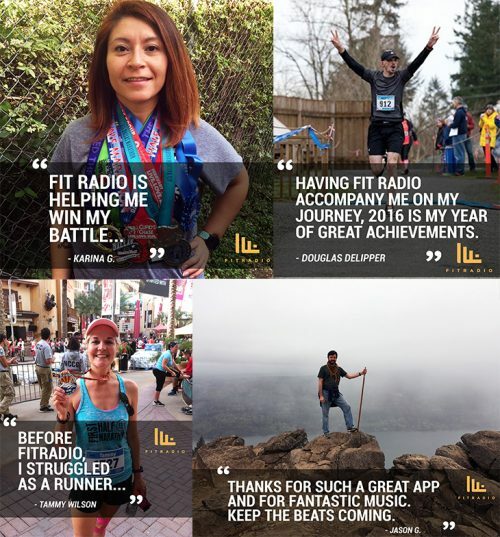 I love Fit Radio because it always keeps me motivated with the newest music and pushes me with every beat! 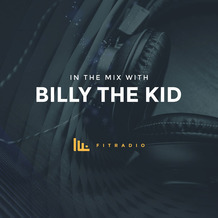 Learn more about Billy The Kid and listen to his latest mixes here. 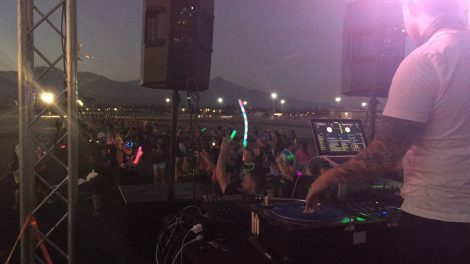 Last week Fit Radio DJ, DJ Kerry Glass took to the Fit Radio stage at Night Nation Run in Los Angeles – The World’s first-ever Running Music Festival. 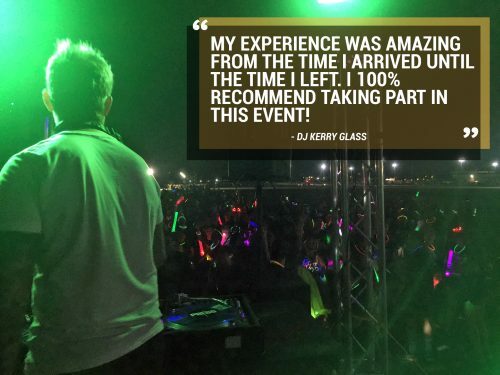 Q: How was your overall experience DJ-ing at the Fit Radio Stage at Night Nation Run in LA? A: My experience was amazing from the time I arrived until the time I left. The entire Night Nation Run staff was friendly and extremely accommodating. The crowd was probably one of the happiest and most excited crowds I have ever seen in my life. 5 Stars! Q: What was different about performing at this event? A: The ENERGY from the crowd was insane throughout the entire event. Whatever interaction you gave to the crowd, they would give right back to you ten fold. 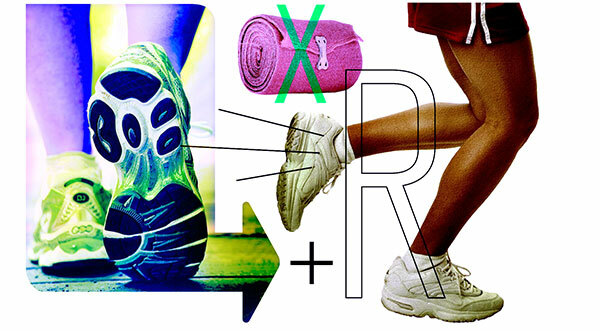 Q: Would you recommend our Fit Radio Fam take part in the NNR events? A: Everything about NNR was AWESOME! From their friendly staff, to their impressive stage production to the incredible audience. I 100% recommend in taking part of the event and hope to be a part of it again in the years to come. NNR Rocks! 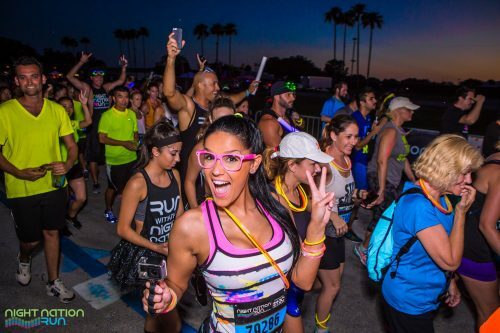 Experience Fit Radio DJs DJ Kerry Glass in Los Angeles and DJ Scuffs in Toronto on the Fit Radio Stages this July at Night Nation Run! 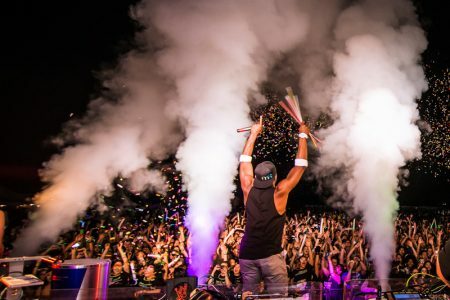 The World’s First Running Music Festival will journey you through an illuminated racecourse to multiple on-course performance stages, each with its own unique, exhilarating party, finishing with an explosive main-stage after-party featuring top headliner DJ’s and special guest celebrity performers! 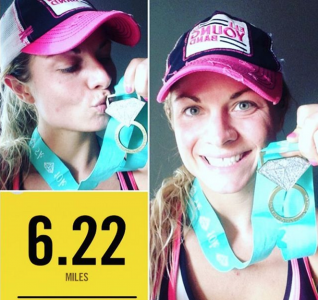 FitRadio users get an exclusive $25 admission price (60% off the regular ticket pricing) using the coupon code FITRADIO at checkout for ALL RACES! 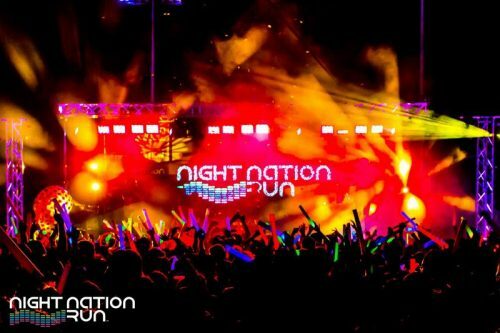 Click here to find a Night Nation Run near you!